Father’s Day is quickly approaching and I suspect we all have at least one guy in our life who we are looking to shower with a little gift love. For this Father’s Day, I decided that the theme of unique watches for men would be perfect for my husband. It just happens that the one which caught both of our eyes on the JORD website is considered unisex so that either of us could wear it. 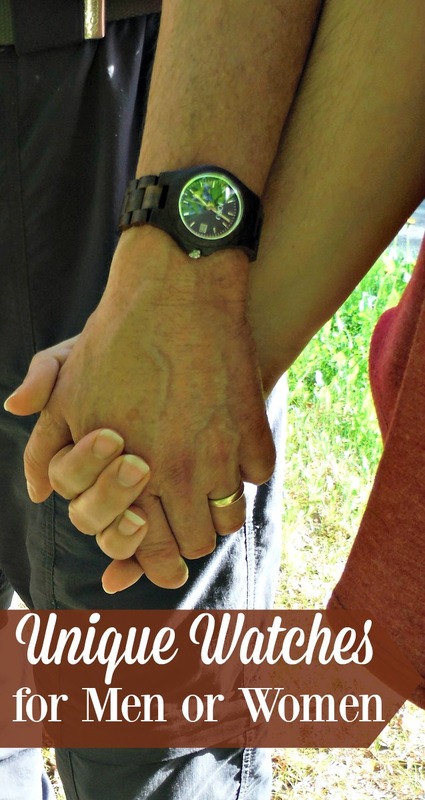 I will admit that selecting a gift to honor my husband can be a challenge. We’ve entered a point in our life where something we truly desire often ends up purchased long before the next special day for gift giving. Plus, we often find that things like the traditional tie as a gift for dad are relegated to the closet to rarely see the light of day. However, a watch which can be worn for casual or dressy occasions is something that he did not have. And, I knew it was something that he could both appreciate and use. Plus, who doesn’t like to have something unique which people will come up and ask you how to find it for themselves? 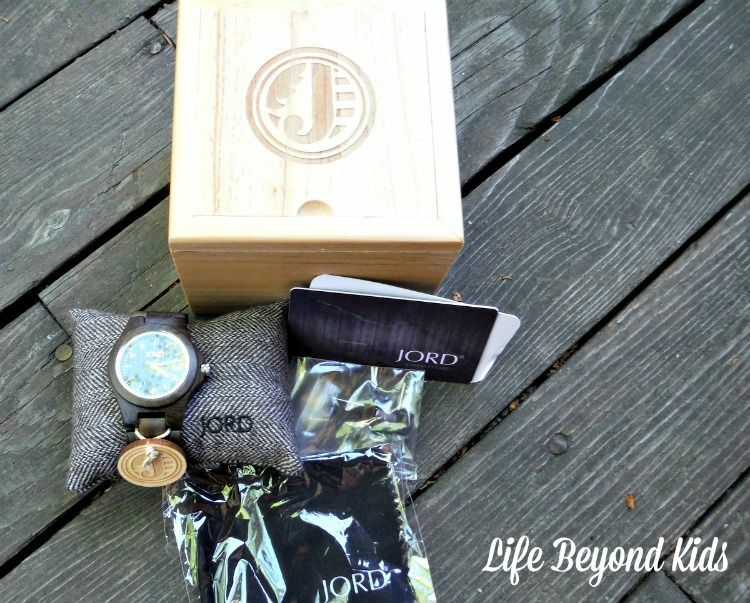 JORD is a company which definitely offers unique watches for men. While I love wood and am surrounded by it with wood furniture and the exposed logs of our Alaskan log home, I had never thought about wood for an accessory to your outfits. JORD offers that layer of natural beauty and does an amazing job of it. The watch face and the straps are made of wood instead of the ubiquitous metal chains or leather straps. Searching the website, you will notice that some are distinctly for men while other watches are sized perfectly for women. Unlike some commercially available watches, you begin the ordering process by taking a precise measurement of your wrist. They have a pdf file you can download with instructions for both proper printing of the sheet on your printer and the use of the ruler to measure your wrist. This allows them to send a watch already sized perfectly for the wearer. After following the instructions, I was surprised to discover that my husband and I had the SAME measurement. Guess that means I can borrow his watch when he’s not wearing it! The shopping process went rather quickly with my husband voicing his preferences. While he briefly considered the very masculine boxy , it was soon apparent that we were both drawn to the ELY series in Dark Sandalwood. The beauty of the dark sandalwood is preserved as only a bit of tung oil is used on it. They recommend proper storage to avoid huge temperature and humidity fluctuations and occasional cleaning with lemon or orange oil extract. This particular design was inspired by the historic brick buildings in the company’s hometown of St. Louis. I’m definitely drawn to awesome architecture and remember seeing many of these buildings on my trips over the years to visit my grandparents and other relatives in the greater St. Louis area. The series name comes from the Ely Walker Warehouse which now contains lofts. Classic styling that stands the test of time…that describes those old warehouses re-purposed for modern life and this watch which pairs nicely with a variety of styles. Now to see who enjoys this particular watch more…my husband or me! 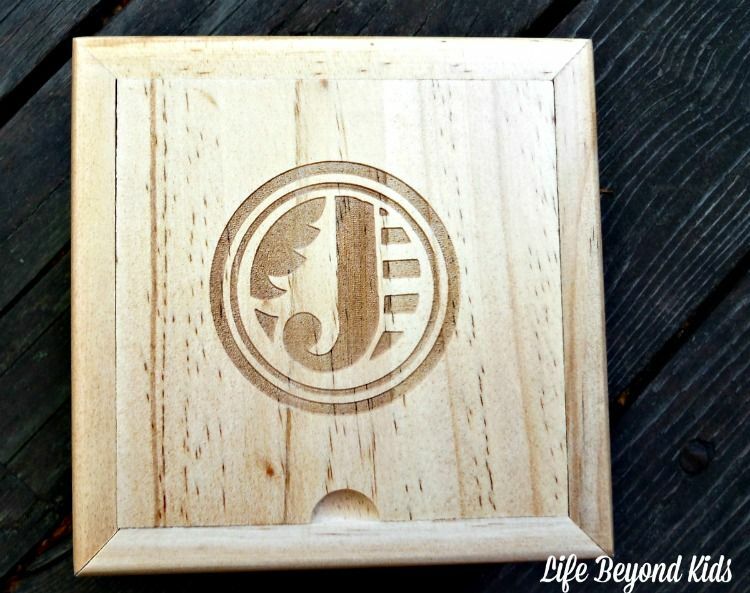 BONUS: Hop on over for a chance to win a $75 JORD voucher to use on ordering your own gorgeous wood watch. Everyone who enters and does not win the contest will get $20 off an order on JORD within a 3 month time frame. So what are you waiting for? What types of unique gifts have you given for Father’s Day? Who in your life would adore a JORD watch? A watch is a great gift idea! And I absolutely love the one you have posted about. I love the look of it! :) With Father's Day coming, I definitely need to consider a gift like this. Thanks so much for your awesome post! With Fathers day coming up I forgot all about unique watches. Women don't wear them much these days but men are still wearing watches and I love a man who wears a mean watch. These are amazing looking watches to gift for Father's day! 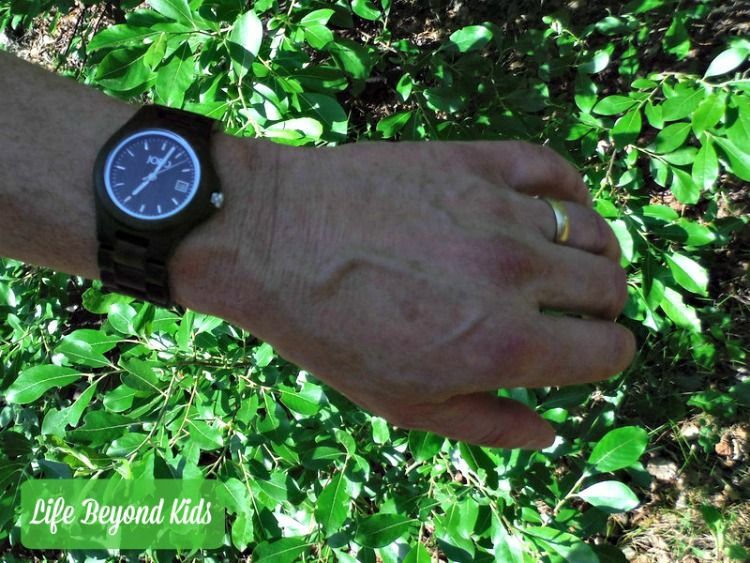 I know that my husband would love this watch if for Father's day. It is amazing what a nice watch can do for your outfit for work. 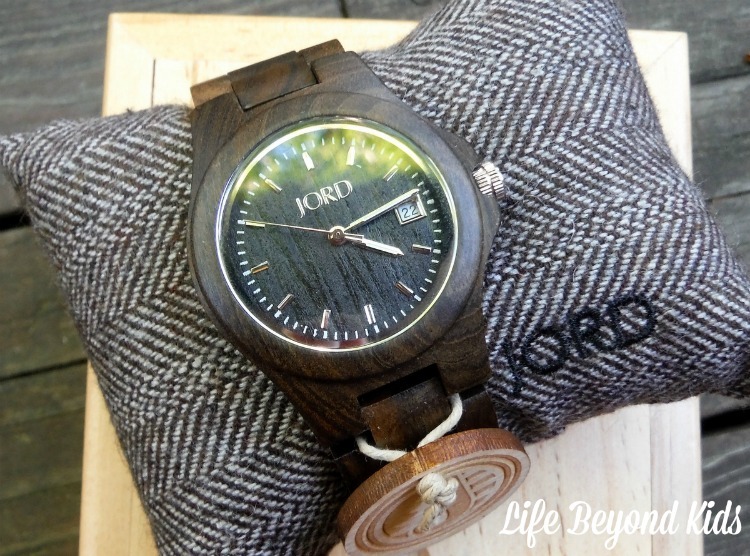 Every time I see the Jord Watch I think it would be an awesome gift for my husband. They have such great watches that always look amazing. I'll have to check them out for the holidays. I really love these Jord watches. They are unique, look durable and we will match most clothing colors. I am impressed by the price as I thought they looks like they would cost quite a bit more. Thank you for sharing the link to win one of these cute watches. I have never heard of this brand before, so was surprised to see how fashionable they appear. I really loved their unisex appeal. Honestly, I was expecting a much higher price tag too. Two thumbs up! I also had never thought about having a piece of jewelry made out of wood. This watch looks so elegant and stately. I love buying unique gifts -- and these watches definitely fit the bill. I love the look of these...and I've never seen wooden watches like this before. They are much more refined and elegant than some that I've seen. I have to say that I have not seen a lot of this style but it is beautiful. 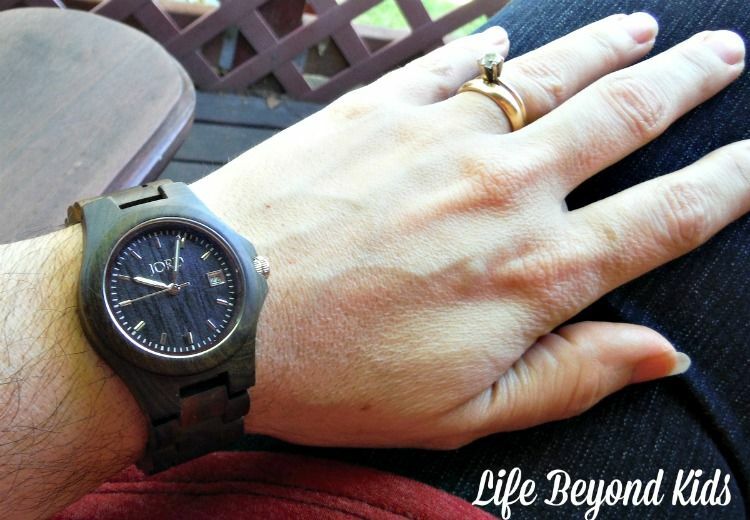 I love the rustic style of this watch for men! I bought one of these for my husband last year for Father's day. He loves it. It is a dark finish with a blue face. It looks so nice when we dress up and go out. Great father's Day gift idea! Jord makes beautiful watches and I have always wanted one. I need to just go ahead and take the plunge and purchase one because I know once I do the quality will last me for a long time. People will also admire it because of the beauty of it! Maybe I will get my hubby one too. These watches are so cool. I was extremely impressed when I took photos of it for my friend. They look really nice in person too.